Please forgive me, but this is going to be a rather reflective post. In honor of the Jewish New Year, which begins on sundown Wednesday evening, I am making a trio of sorbets, each one bringing forth a new flavor and blessing for the new year. 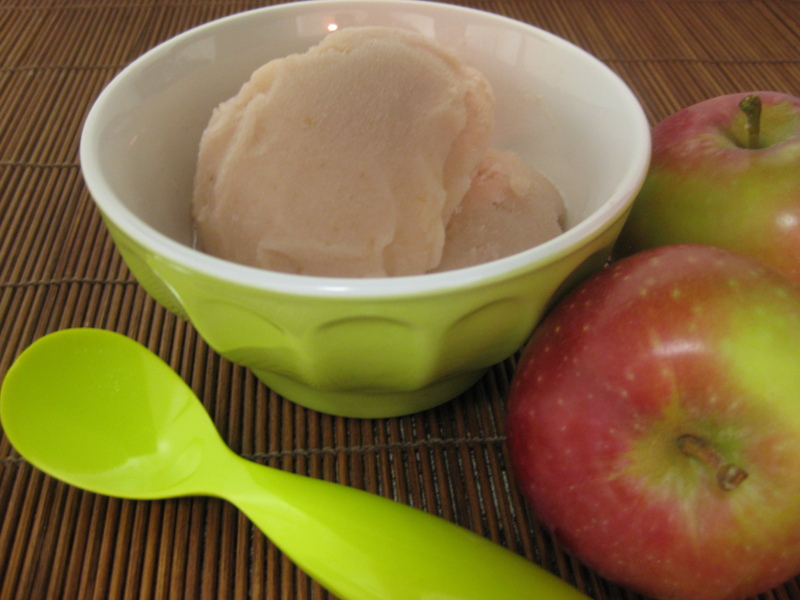 This recipe, apple sorbet, carries quite a bit of meaning. Ever since I was a little girl, my parents used to say that no matter what – the most important thing is that we have our health, and that we have each other. I never fully understood those words – they resonated, sure, I knew that it was very important to have family, but as a kid, you take good health for granted. As an adult, working for Project Sunshine I see the impact of health, both good and bad, on families across the country. Every day I am humbled by the generosity, strong spirits, and resiliency of these brave, young patients. In the face of such challenges, they smile, they laugh, and quite honestly, they elicit from me such joy and happiness that I am truly in awe. It’s times like these that I am reminded of how blessed I am to have my health – and as my mom always said – to have “each other”. I am truly grateful for each family member and each friend that is part of my life. I can only wish that each one of you are blessed with good health, happiness and lots of sweetness as we embark on this new year together. 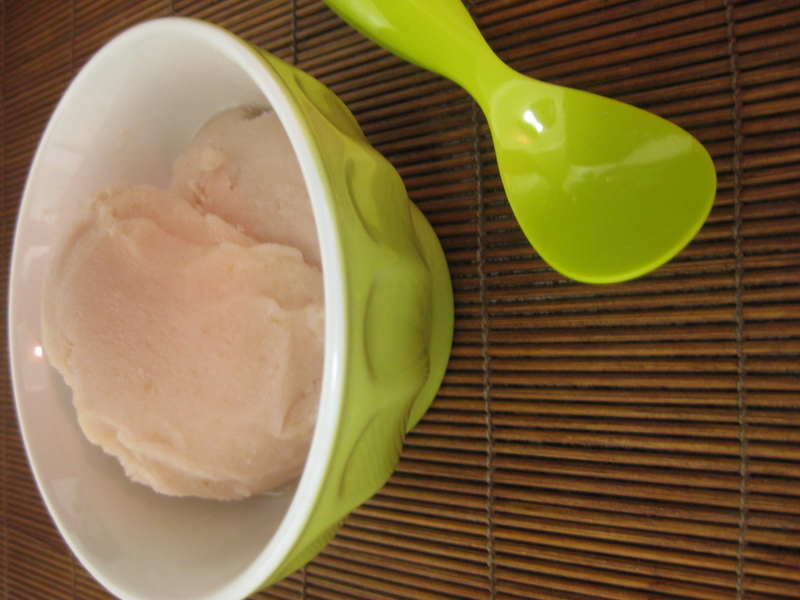 And now, a bit about the sorbet. 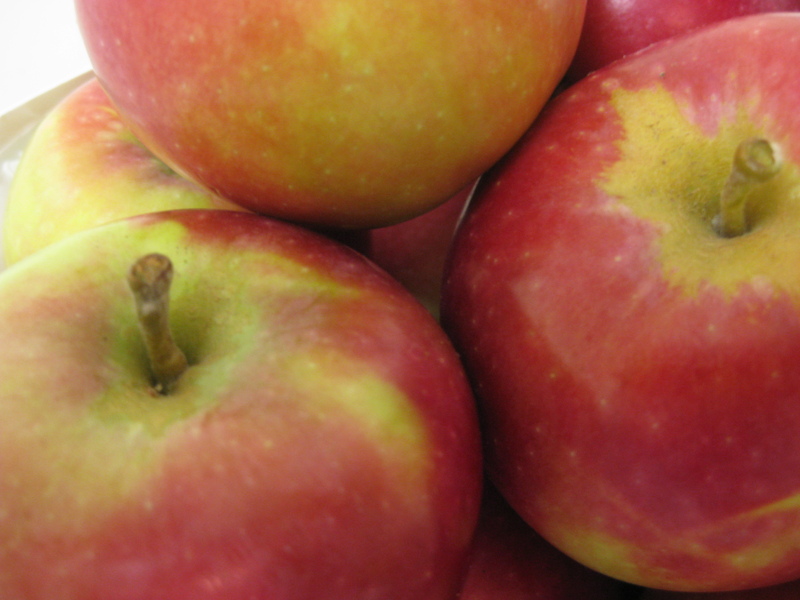 Apples and honey are the quintessential combination during the Jewish New Year. There are many interpretations about the combination of apple and honey – and at the most rudimentary level – they represent the sweetness with which we should all be blessed each year. But on a deeper level, the apple is a rather famous fruit in our culture. Midrash, or biblical stories, teach that the apple tree puts forth the nub of its fruit even before the leaves that will surround and protect the little fruit are fully sprouting. This is a beautiful metaphor. Much like the apple leaves protect the fruit until it is truly ready to enter the world, so too do our family and friends protect us from the outside world until we are truly ready to venture into it ourselves. As each of one you embarks on a new journeys this year, I wish you the necessary shelter and support until you are ready to face those challenges, be they good or bad, and the strength to carry you forward to achieve each and every goal along the way. That my friends, is why I’ve decided to make an apple sorbet. May your homes be filled with sweetness in the coming year. Here’s to good health and happiness. Brace yourselves, this is very simple. 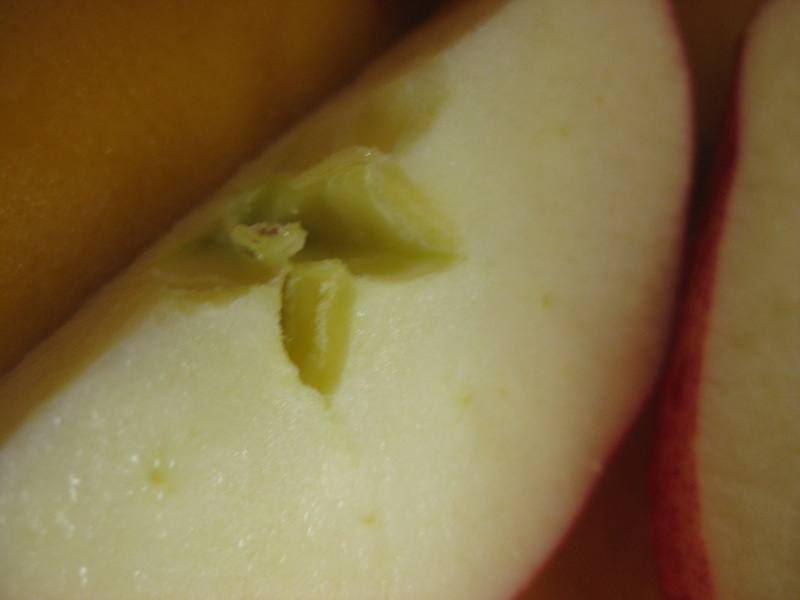 Core and seed the apples. Cut into 1 inch pieces. (Do not peel, the skin adds great flavor and color). 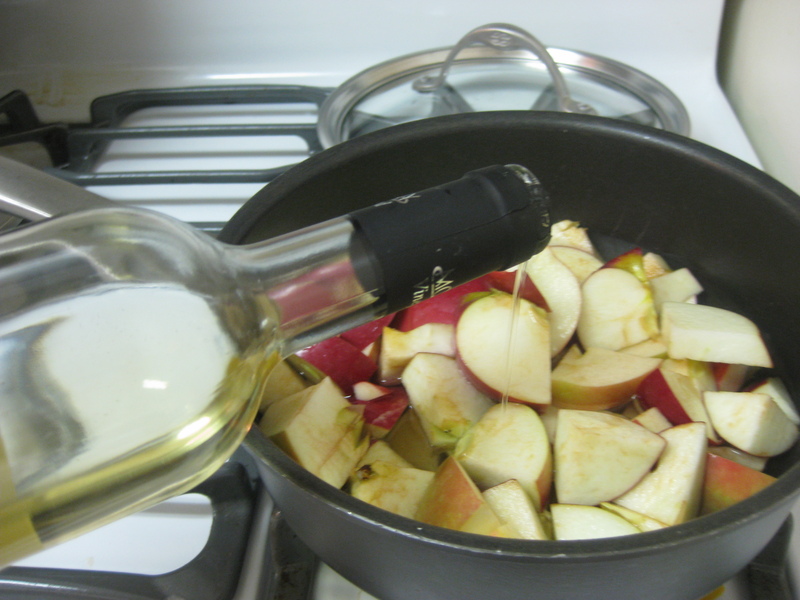 Put the apple pieces and 2 cups of Riesling into pot. Cover and let boil. Once it’s boiling, reduce to a simmer for 15-18 minutes. Stir a few times so that the apples cook evenly. Remove from the stovetop and pour the liquid into a heat-proof bowl. 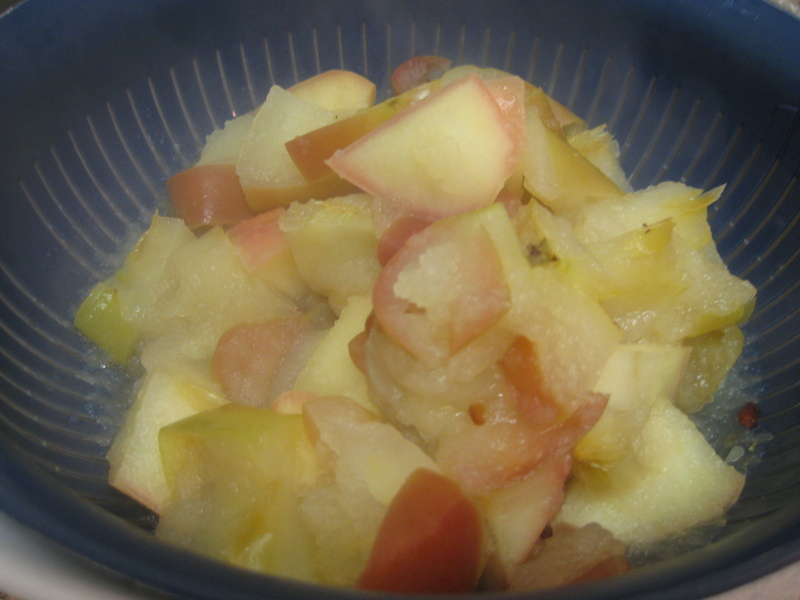 You’ll notice that a lot of apple pulp and skins will remain, and it looks a bit like apple sauce. Put the remaining chunky mixture into a blender (or you can use an immersion blender or food processor) and puree. Whisk the thicker, apple-sauce type puree into the liquid mixture. While it’s still hot, pour in the sugar and whisk until it dissolves. Cool completely before refrigerating for at least 2 hours. Once chilled, pour the mixture into the bowl of an ice cream maker and churn according to the manufacturer’s instructions (approximately 20 minutes). Transfer to a freezer safe container and freeze for 2 hours before serving. When ready to eat, scoop into a bowl, drizzle with a little bit of honey (optional) and enjoy! Here's to a sweet new year. Dig in! The Verdict: While I don’t have input yet from the official taste-testers (my entire extended family!) I do know that this was one of the best sorbets I have personally tasted. It was so creamy you would think it was ice cream, and interestingly enough, the wine cooked off leaving behind a sweet, flavorful taste. In fact, the wine actually augmented the flavor of the fruit – it was just delightful and refreshing. I’m definitely going to make this again! Happy New Year. Dig in!